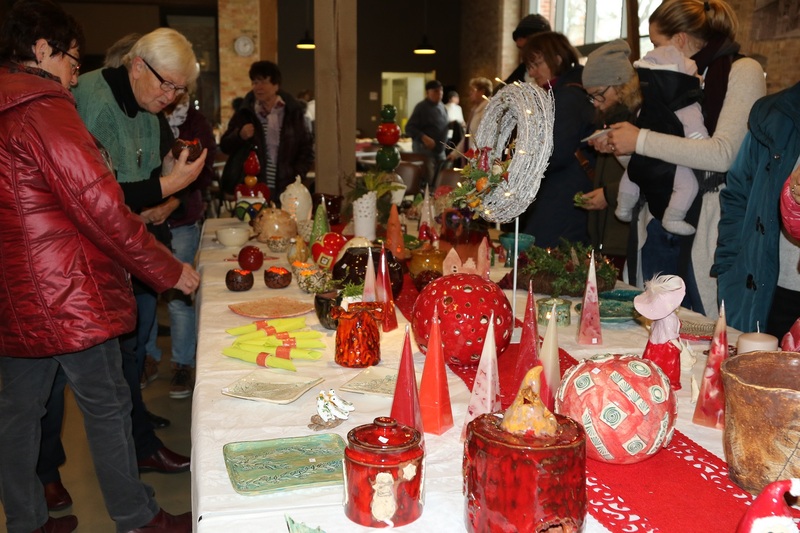 On Sunday 25th November 2018, the 19th Pottery Bazar took place in the barn. The proceeds were donated to charity institutions like the years before. Novel Pottery such as handmade cups, pots, bowls, figures for garden, bird baths, light holders, pyramids, Christmas decorations and snowmen – also handwoven Christmas wreaths – were offered. Unexpected Pre-Christmas festive feelings filled the barn. Time for tea and coffee with self-made cake and a chat with the sellers was provided at the event. A portion of the money of the expected proceeds goes to the Children and Grown up hospice in Magdeburg. A third portion is going to be a grant for the Friedensauer campsite.